The stock market in China has lost close to 50% value from the high in October 2007. 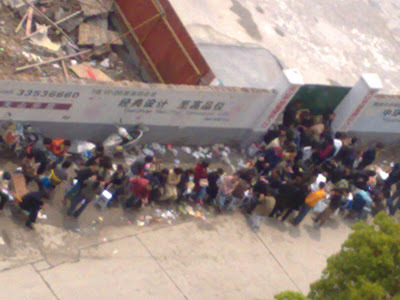 And just when you thought that the Chinese investors are broke, they are still queuing up to buy properties next to my apartment in Shanghai. 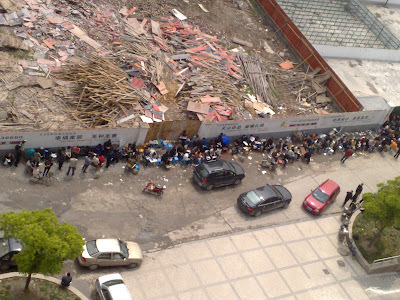 The commotion had started since last night with people queuing and camping beside the development site until this morning. 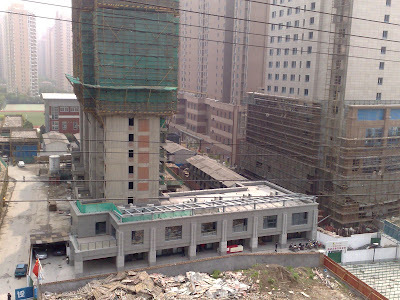 The price range of the property should start from RMB2.5 million upwards. If you think the Chinese are affected by the global economic downturn, think again. Lets not forget, the initial downpayment for the property is 30% of the selling price. 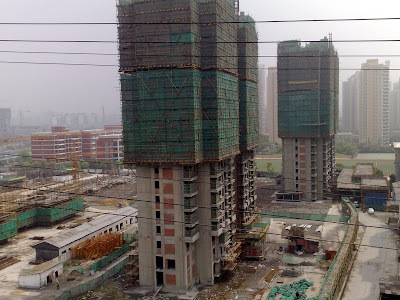 With all the administrative and renovation fees thrown in, the Chinese people would easily need to stump up at least half of the selling price to own the property. 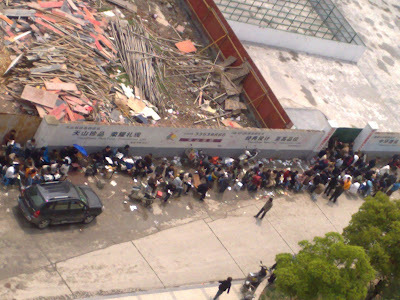 A contrary post on Shanghaiist to this one was done yesterday I think!